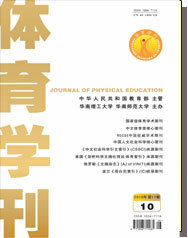 Abstract: Physical education classroom teaching is an important link in school physical education work, also an important way of physical education curriculum implementation. The good or bad of physical education classroom teaching quality directly affects the further deepening of curriculum reform, affects the formation of students’ life-long physical exercise skills, and relates to the improvement of students’ physical health level. Via such methods as literature data study, classroom observation and logic analysis etc, the author carried out a multi-level analysis on problems existing in the classroom teaching of physical education in basic education from the perspectives of mag-nitude, difficulty and newness, and put forward three overall improvement strategies, i.e. solving problems existing in physical education classroom teaching should be comprehensive and specific, up and down penetrated, before and after connected, etc, so as to solve problems existing in physical education classroom teaching more accurately, and to improve physical education classroom teaching quality.